Includes professionally filmed and edited demo reel! Many of our Vocal Awareness students are in broadcasting and journalism and form a very unique part of the Vocal Awareness family. These are professionals whose life’s work is communication. For them, Communication Mastery is not a luxury, it’s a necessity. Arthur Joseph participates in journalism and broadcast conferences and bootcamps globally. We are expanding that impact with a new partnership with NY City based Reel Media Group. 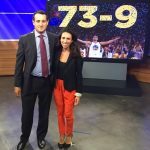 Reel Media Group, led by broadcast journalist and consultant Stephanie Tsoflias Siegel and Bram Weinstein, noted sports broadcaster formerly at ESPN, is now combining Vocal Awareness training with their broadcast demo reel packages. If you are looking to get a professional reel made for the broadcast industry, they should be your go to resource. They have helped many broadcasters young and old find placement in great markets. Reel Media Group also runs one of the top NBA and Pro Athlete Broadcast Bootcamps in the country for retired players looking to get into broadcasting, radio, hosting, and other forms of media. • STEPHANIE TSOFLIAS SIEGEL, Emmy Award Winning reporter in NYC at WPIX-TV, broadcast consultant and trainer, and founder of Reel Media Group. 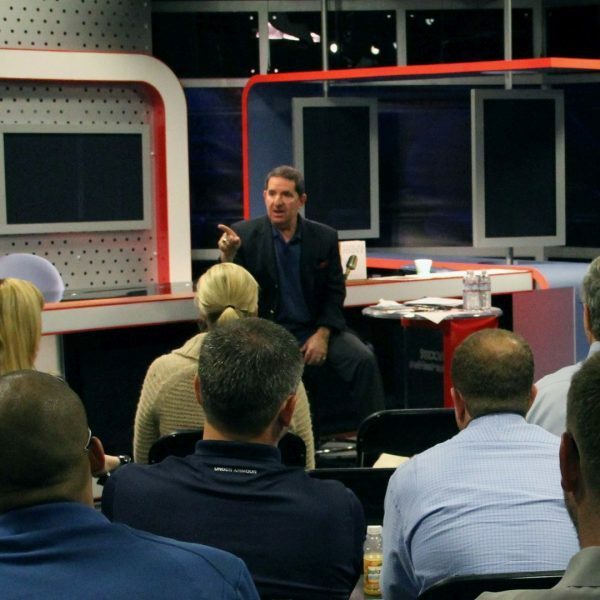 *Price includes the three-day workshop, access to a state of the art television studio at a local affiliate in Las Vegas, an edited high-definition demo reel as a full file and sharable link within 2 weeks of completing the workshop, access to the industry’s top coaches, networking event after the workshop with introductions to agents and networks seeking talent, meals during training. If you are a broadcast student, journalist, podcaster, internet marketer, blogger/vlogger, or a current or retired professional athlete with any interest in media, this is the course for you. It’s also a fantastic opportunity for in-depth training with Arthur Joseph.